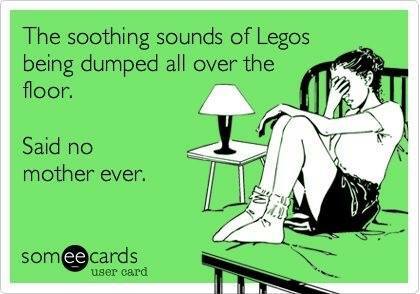 THE SOOTHING SOUNDS OF LEGOS BEING DUMPED ALL OVER THE FLOOR - ProudMummy.com the Web's Community for Mums. THE SOOTHING SOUNDS OF LEGOS BEING DUMPED ALL OVER THE FLOOR. SAID NO MOTHER EVER.